Earn $54.99 in Rewards credit (5499 points) What's This? 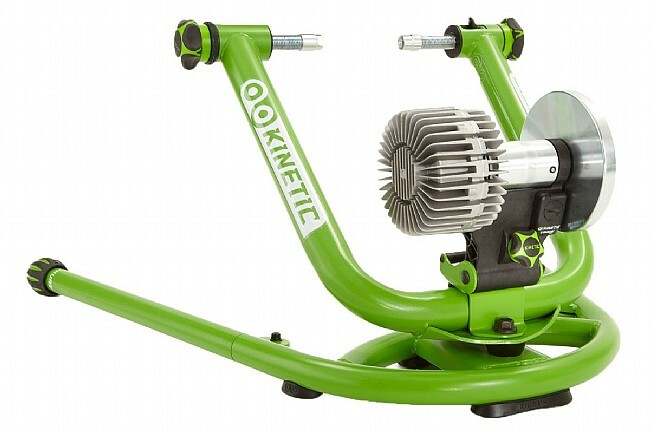 The Rock and Roll Trainer from Kinetic turned the indoor training experience on its side, with its free-moving design that allowed for lateral bike movement mimicking your movements on the road. 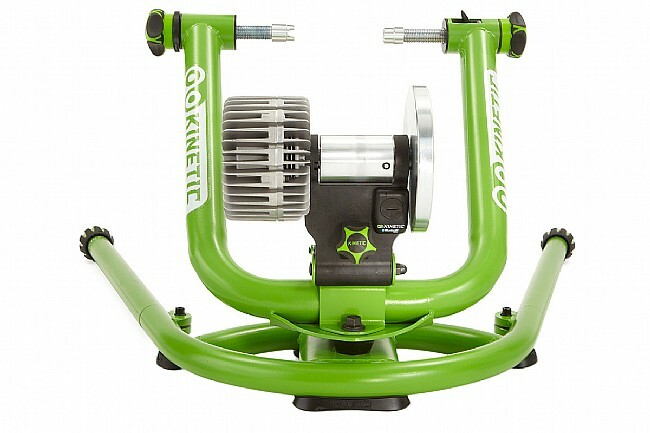 Kinetic has taken their stationary riding experience one step further with the Rock and Roll Smart by incorporating a Bluetooth power sensor so now you can hit your power numbers inside as well as outside. The integrated sensor broadcasts a Bluetooth Smart® signal to compatible devices using the Kinetic inRide app. 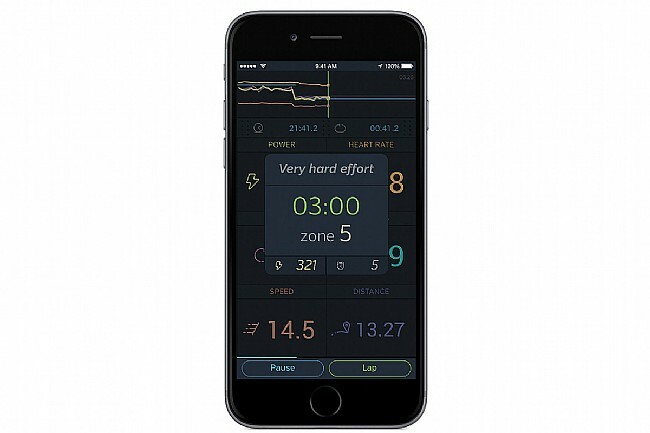 From there, custom power and heart rate zones can be defined, along with creating power-based workouts or using one of Kinetic's professionally guided workouts. As before, the Rock and Roll trainer's unique, lateral motion effectively engages core muscles to maintain balance, and its wide base with rubberized feet create a stable platform for handling all-out efforts. 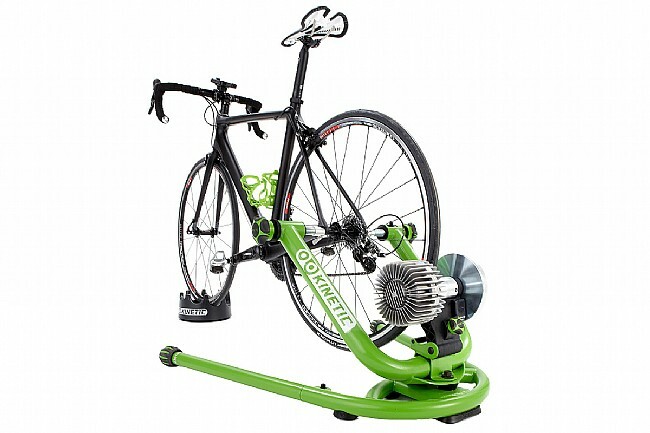 The large diameter roller spins through Kinetic's progressive resistance unit that provides a natural feel and quiet operation, while a lockout feature allows the rocking mechanism to remain stationary for traditional trainer use. Fits tires from 22” to 29” in diameter and up to 2.3” wide. Honestly speaking I am not a fan of indoor riding but decided to add this bad boy to my arsenal. After logging maybe just a couple hundred miles I can tell this Kinetik trainer exceeded my expectations. The ability to swing is a game changer as it really makes you feel free on a bike. I must mention that had some problems with connecting my Garmin hear rate monitor but honestly was too lazy to read FAQ or manual to solve the problem. I am sure its an easy fix. Summary quality, usability, design is on the top level. Rock solid and capable of throwing the bike around during a sprint, or climbing an incline on Zwift. The Smart Control version is a better value for just a little more money, especially if you are using Zwift.